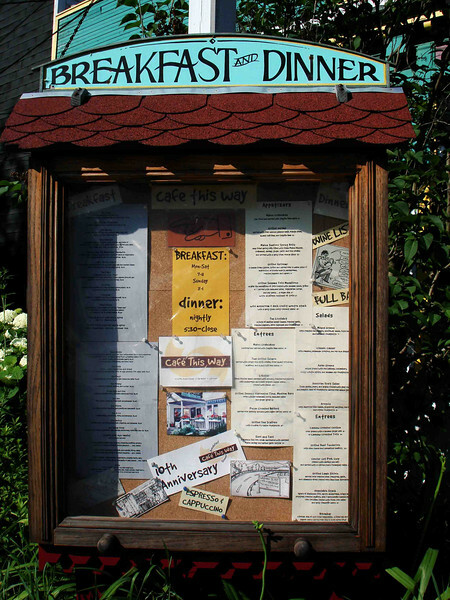 They have the menu and other related items about the place on a board at the base of the sign in hopes of drawing in the casual passers-by. Lots of good stuff here. Yum!